Open daily at 11am for lunch, dinner, late night. 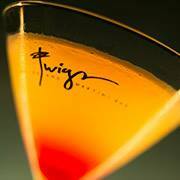 Our largest Twigs Bistro and Martini Bar opened in January 2008 in the Wandermere Business Center in North Spokane. Spacious dining area can accommodate over 200 guests. 20 foot ‘tower of liquor’ and a see-through fireplace in the bar. Eclectic and inviting décor with imported lighting and custom designed seating, which is arranged to take in the spectacular man-made lake with four visible waterfalls. The over-sized windows allow every table to be a ‘view table’.